Home Motivating Two Sides Of The Story! There are two sides to every story, so we should be aware that we only receive half the truth in any situation. The truth of any story comes only in one way truthfully, interesting quote right? This may not resinate with you, especially if you are dealing with a situation in your life that is difficult at the moment, but the reason for my writings is that perhaps I may assist you in the uncomfortableness of your situation by giving you some deeper clarity. My hope is that you will be able to see things a little differently, which might allow you to become a little more opened minded, hopefully to help ease your suffering (now or later). 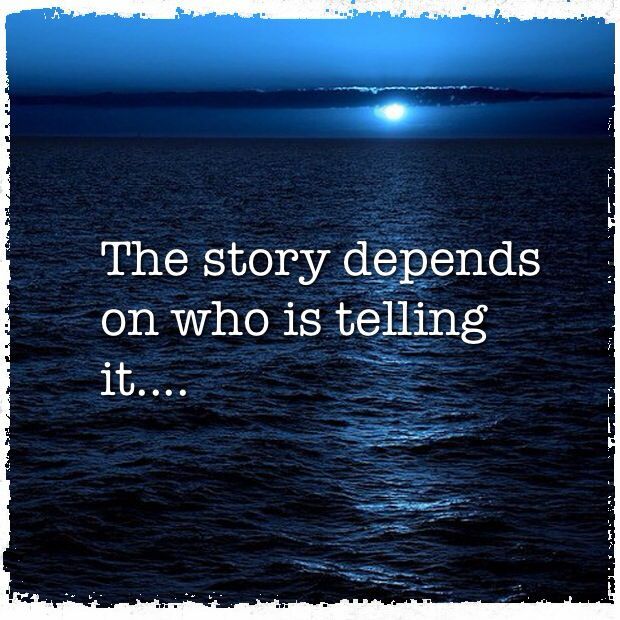 Regardless of what the circumstances are in any of our stories in life, the mere truth is this; one side of the story comes from our Ego and the other comes from our Soul. Which one are we going to believe, is the big question. We know the ego is a force larger than life, this we are aware of. Our ego obsessively speaks to us about nothing that is particularly true, unless we are faced with a dangerous situation, in which case when our mind screams ‘run’, we should certainly do so. Other than warning of us of danger, the ego tries to convince us about a lot of untruths. Our ego loves to dramatize and make us believe we are the ‘victim’, in most situations that we find uncomfortable. We actually rely on our ego during these difficult and burdensome times, to convince us that we couldn’t possibly be the one to blame, this solution makes it easier than having to face the truth about ourself. Our soul on the other hand is not particularly interested in any story and definitely not the details as we would like to tell them, whatever they may be. Our soul is only invested in helping us to grow and evolve from the environment of the problem. The soul realizes that there may be two or more people involved in the situation at hand, but again it isn’t attentive to the others included, it is only invested in You. So what part of you, your ego or your soul, do you believe is best to take the advice from, when you desperately need it the most? Your ego wants to make things worse, using the blame game to trip you up. Your soul wants you to see what the situation has to offer you in terms of learning a lesson and how that lesson can move you forward on your journey. The best advice and I would suggest, you let your soul have the louder voice, and perhaps tell your ego to take a hike.